A business whose turnover is above Rs. 20 lakh has to register for GST. Also, some special businesses are also required to register for GST. Every registered taxpayer is issued a GST Registration Certificate in Form GST REG-06. 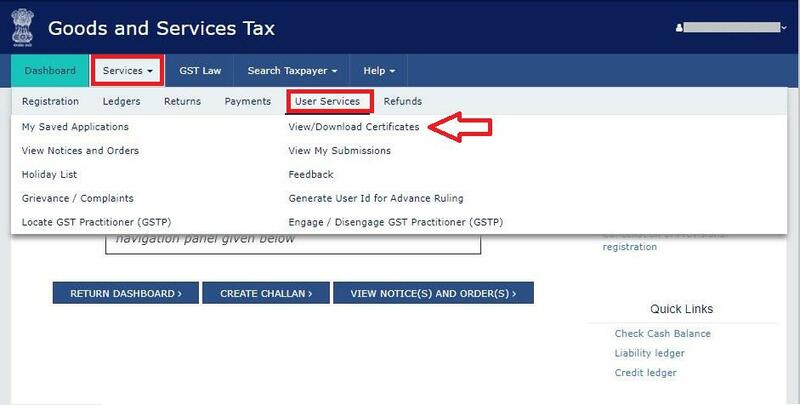 If you are a registered taxpayer you can also download the certificate from the GST portal. The registration certificate is available for downloading only on the GST Portal. The government does not issue any physical certificate. Step 1 – Login to GST Portal. Step 2 – Go to ‘Services’ > ‘User Services’ > ‘View/ Download Certificate. The certificate contains all the details of the business. 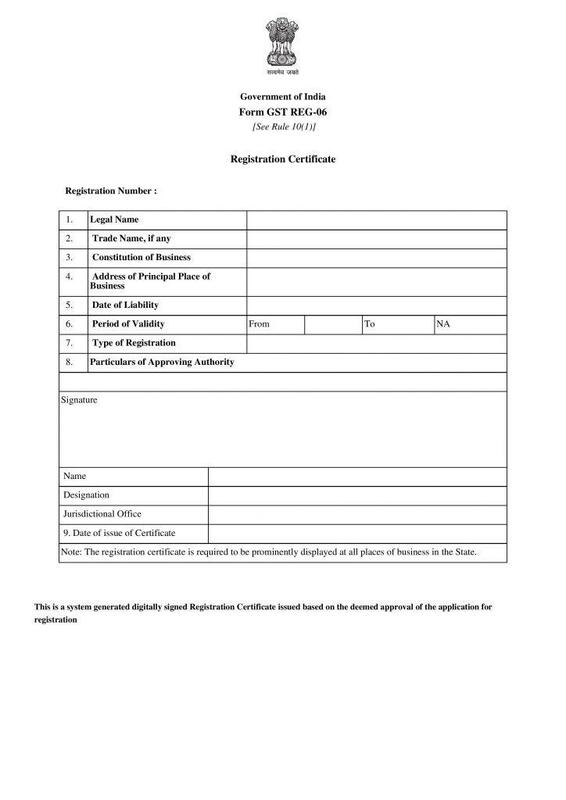 On the first page, basic details like name, address, and date of registration of the business are displayed. The second page is ‘Annexure A’ which contains details of any additional place of business. The third page ‘Annexure B’ has information of the Person in Charge of the business.